A two day mini-conference, One Sky is an Allbritton Center for the Study of Public Life Collaborative Project that includes a film screening, colloquium, cross-cultural collaboration performances, and the world premiere of Guggenheim Fellow composer and Visiting Assistant Professor of Music Jin Hi Kim's One Sky II. One Sky is an attempt to deliver a message that we live under and share one sky no matter how different our individual beliefs may be or what political borders have been created. 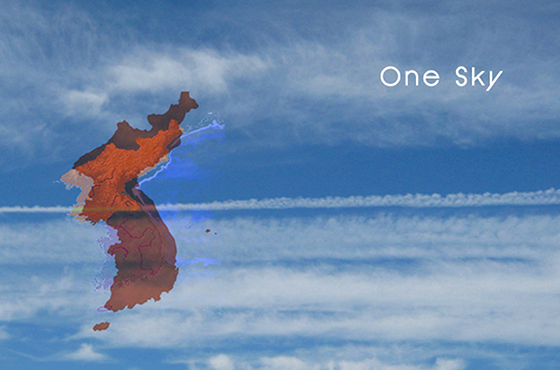 One Sky is organized by the Wesleyan University Music Department, College of East Asian Studies, Theater Department, Film Studies Department, and Fries Center for Global Studies, and Yale University's Council on East Asian Studies. Supported by Wesleyan's Allbritton Center for the Study of Public Life Collaborative Project and Center for the Arts. One Sky will also be performed at Yale University on Wednesday, April 18, 2018 at 7pm.